Jona successfully launched her book “Alang sa Nasaag” after she got back from a month-long trip to India. Bren enjoyed his first visit to Hong Kong few days back. For the past months, Doi spent most of her time in Manila for her sister’s wedding. I had my first solo international trip last July. 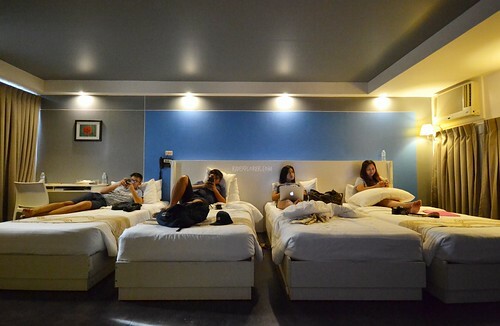 The group needed to catch-up and the best idea was to stay in a family room at Pillows Hotel Cebu. The three of us, except Jona, decided to meet before our check-in time to try Tagala’s Chicken for lunch. We continued to Ryan’s Pizzarelli House when we craved for more carbohydrates. It was my first time to explore that neighborhood and presence of affordable food places in the district stunned me. Under the heat, we took turns on some narrow streets and threaded our way to Pillows Hotel Cebu. Hotel’s lobby immediately became our shelter from the rigorous heat. It’s not that expansive but the design is striking; comfy leather couches, miniature decorations, plants on enamel pots, and a massage chair. A tablet on the front-desk allows guests to take a peek at the hotel’s rooms. 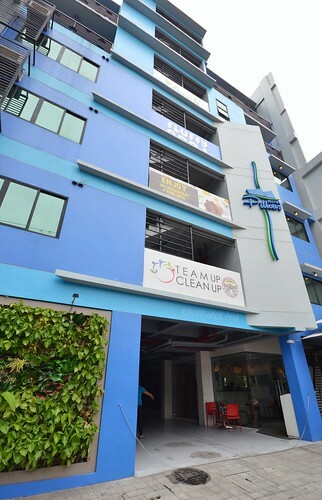 Apart from the lobby, the ground floor also has the café and a limited parking space. Family room we got is on the sixth floor. We were anxious if the room can fit us comfortably so we had to keep up our expectations low. Right after we tapped the electronic keycard and had a first glimpse of the room’s layout, ohs and ahs, as signs of astonishment, echoed on the corners of the room. The room we got was really spacious considering that it already has four twin beds. 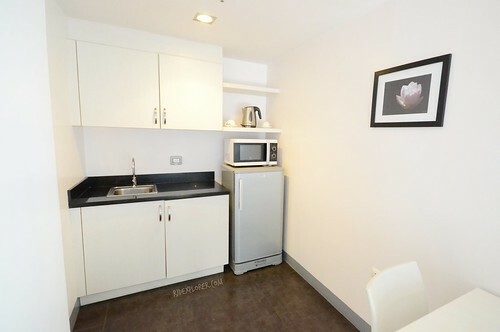 Other room facilities include a counter sink, refrigerator, microwave, and coffee and tea making facility. Bottled mineral water being replenished daily are added perk, however, there was no coffee sticks or tea packets. With the ample space in the kitchenette, we even use the area to hide from Jona when she arrived. Pillows Hotel Cebu’s family room also has a tiny porch for chitchats. Pillows have a “Fluffy good” signs on them. The cards, together with the hotel’s name, hyped our expectations on the comforts from the pillows. Bren immediately plunged on his bed and was amazed by the features of the pillows. Envy as a kid, I also tried it and instantly felt the comforts. Aside from being soft, the plump pillow is springy that goes back quickly to its original form the moment you leave it. Most hours of the day were spent on some hole-in-the-wall cafe and eateries in the area. 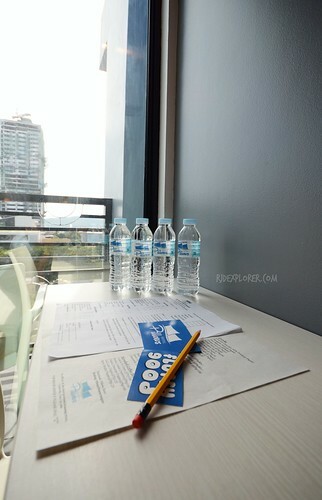 During our stay in Pillows Hotel Cebu, we were able to try seven food places including a pungko-pungko, local term used for a kind of dining where customers sit on low benches while enjoying street-food. The hotel’s location really allows adventurous guests to try varied options of food. Unfortunately, we weren’t able to dine at a Mexican restaurant near the hotel. The room’s flat-screen television, with ports for portable drives, became our movie screen during nighttime. All lights turned off, the entire room was converted into a movie house. For moments in between, we shared travel stories and experiences over instant coffee prepared using water heater and coffee packets we got from a pharmacy/convenience store nearby. We were connected on social media all the time, thanks to the in-room free Wi-Fi connection. Toilet and shower room has complete bath essentials from fresh towels, shampoo, dental kits, and soap. 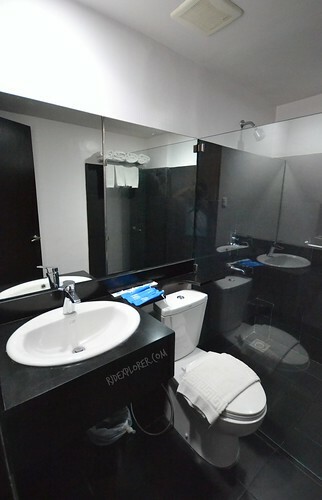 A bidet is also available. Hotel’s café is small but the food being served here complements it. With my estimation, it can only accommodate 20 people at the same time. 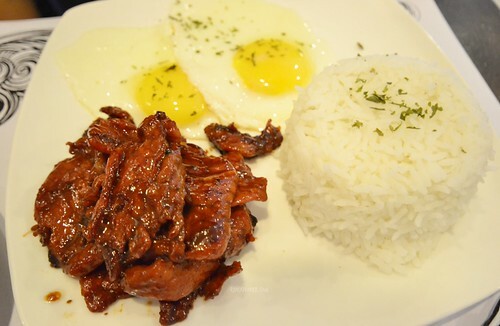 For the complimentary breakfast, guests are free to choose from the combination of hot dish, egg, beverage, and rice or toast. 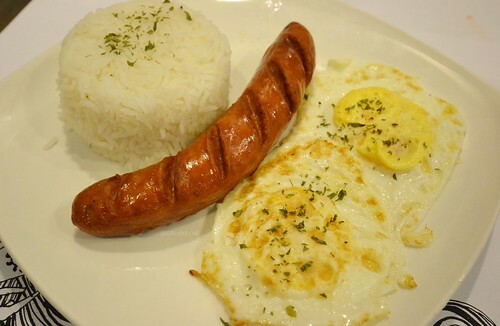 Hot dishes available are native longganisa, pork tocino, ham, spam, corned beef, tuna flakes, and Hungarian sausage. Hefty breakfast plates arrived together with the freshly brewed coffee. After demolishing our meal, we stayed at the café for few minutes and marveled at the quirky designs installed. 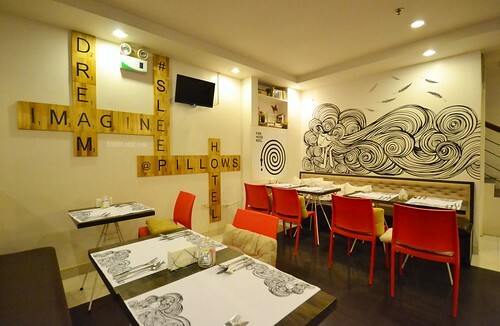 One wall has large scrabble tiles forming the hotel’s branding: dream, imagine, and sleep at Pillows Hotel. On one corner is a shelf filled with books and other stuff. Another side of the wall is an impressive mural art of a woman having a long and curly hair. This art translates on the paper being used as placemats. While waiting for my turn on the massage chair, I noticed from the slide show on the monitor near the front-desk that every floor of the hotel has a different color. I asked the hotel staff and he confirmed that the floors of the hotel resemble the rainbow, ROYGBIV, starting from the ground floor. We were intrigued so we press all the hotel floors on the elevator to check it out. And indeed, it’s true. 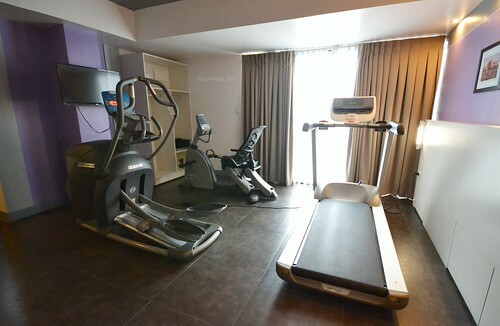 We also found out that the hotel has a small gym equipped with Octane fitness machines. It was a short weekend for the group but it was enough for us to catch-up with each other’s travel stories. With the strategic location of the hotel, we also had the opportunity to discover the food scene on that part of the city. 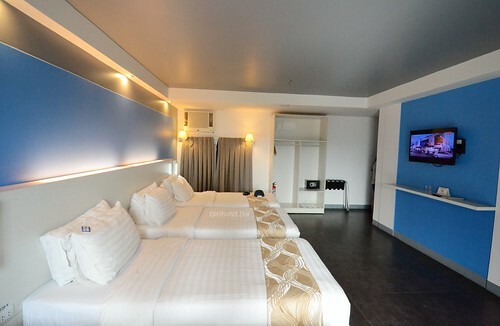 Pillows Hotel Cebu is not your ordinary budget hotel. The rates are affordable yet the amenities they offer to their guests set them apart from other budget hotels in the area. As the Cebuano expression confirms, our stay in Pillows Hotel Cebu was fluffy “gyud”. 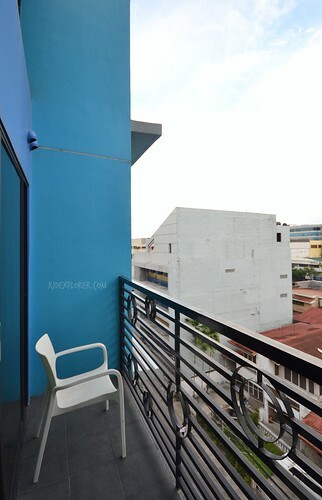 Book discounted rates of Pillows Hotel Cebu here. 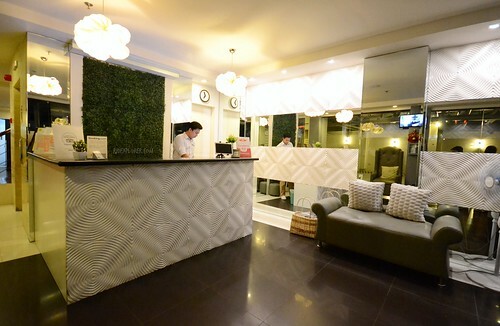 Disclosure: Thanks to Pillows Hotel Cebu for accommodating us on our stay. All opinions stated on this post are my own. Good pm, I just learned that the Cebu Pacific flight my daughter and I are taking tomorrow from Manila has been cancelled due to typhoon Nina. I am supposed to check in at your hotel when I arrive tomorrow. I’d like to request the same 8 days but can I inform you once I have rebooked my flight? As it is, no one from Cebu Pacific is answering the call. Thank you.